Mori, Shigefumi (1979). "Projective manifolds with ample tangent bundles". Ann. of Math. 110 (3): 593–606. doi:10.2307/1971241. JSTOR 1971241. MR 0554387. 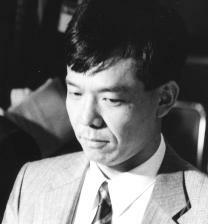 Mori, Shigefumi (1982). "Threefolds whose canonical bundles are not numerically effective". Ann. of Math. 116 (1): 133–176. doi:10.2307/2007050. JSTOR 2007050. MR 0662120. Mori, Shigefumi (1988). "Flip theorem and existence of minimal models for 3-folds". J. Amer. Math. Soc. 1 (1): 117–253. doi:10.2307/1990969. JSTOR 1990969. MR 0924704. ↑ 1,0 1,1 1,2 1,3 1,4 German National Library, Berlin State Library, Bavarian State Library et al. Record #142401137 // Gemeinsame Normdatei — 2012—2016. Heisuke Hironaka, The work of Shigefumi Mori. Fields Medallists Lectures, Michael F. Atiyah (Editor), Daniel Iagolnitzer (Editor) — World Scientific Publishing, 2007. ISBN 981-02-3117-2.